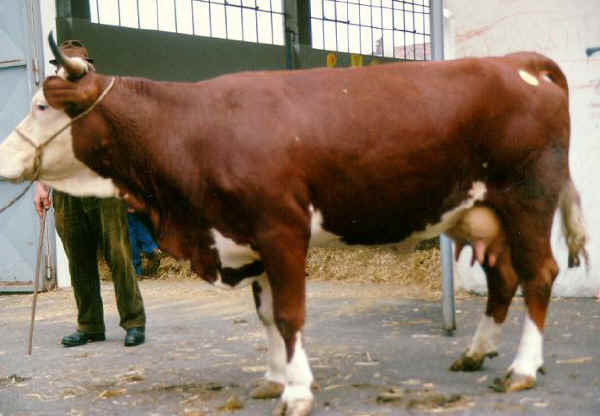 It presents the same characteristics as ‘Pezzata Rossa Valdostana’ with a dark red pied coat. Limbs and abdomen are usually white as well as the head with red ears. Red spots are rarely found on the head. Small size and height. 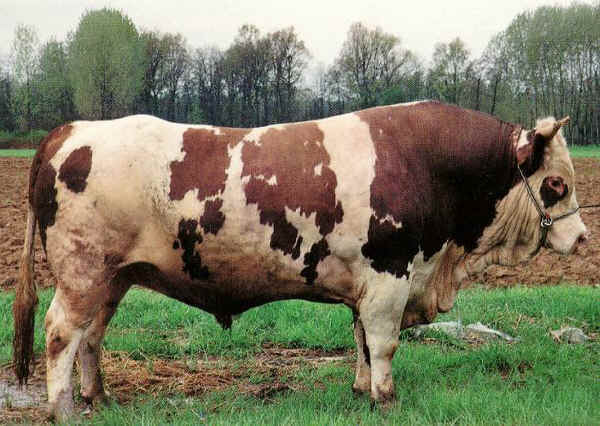 Both apt for milk and meat, with prevailing milk production; very suitable to harsh conditions on mountain grazing.